M&R Roofing and Repairs can repair or replace your slate roof. 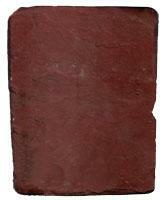 This page will give information about slate and the installation process. 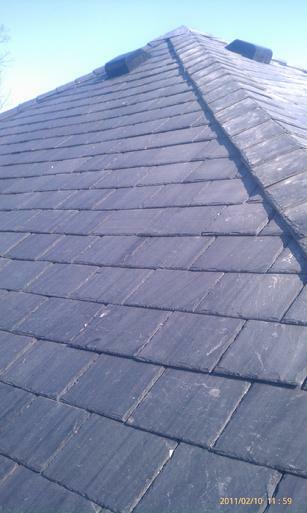 In most cases slate roofs can be repaired to satisfaction. Slate should not be walked on if at all possible. When slate is walked on the slate can crack and you not even know it and slide down at a later date. Slate roofing is a specialty roofing system and should be installed and or repaired by a professional. Below are some common mistakes that non-skilled contractors make. Lack of information: The contractor (and homeowners) have not done their homework. The contractor blindly bullies ahead with the job without making any effort whatsoever to do any research. 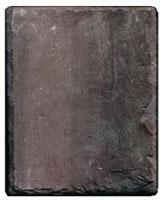 A simple search on the internet can yield a wealth of information about slate roofs, sources of correct tools, materials, supplies and installation techniques. All slate is not the same: You wouldn’t buy a car without looking at different models and checking their track record — and cars only last ten years and are cheaper than slate roofs! A slate roof is an investment in the future of your building. It will reasonably last 150 years if constructed correctly. 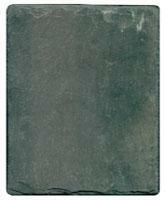 There are many different types of slate with differing characteristics and longevity. Why buy a foreign slate with no track record? Do the research. 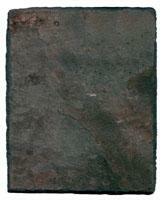 The contract documents are deficient: Every detail about the slate roof installation should be included in the contract documents — type, size and origin of the slate; type, length and gauge of the nails; type and installation style of underlayment; type and size of cant strip; headlap; flashing specifications; number of squares to be installed; slate installation style, and many other details. 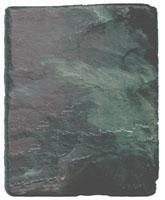 A basic contract (“Sample Slate Roof Installation Proposal”) is posted here. Lack of headlap: This fundamental detail of any successful slate roof installation is hard to overlook, but it is ignored by some roofing contractors. Lack of adequate headlap spells disaster for a slate roof. I have seen new roofs with inadequate headlap (i.e. less than 2”), no headlap at all, and even negative headlap. Do your homework, contractors, or stay away from slate roof jobs. 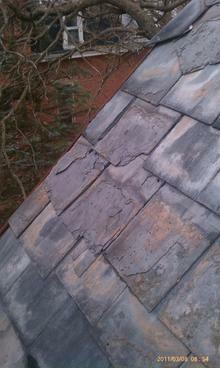 Bad flashing work: There are two things that keep water from penetrating a slate roof: the slates and the flashings. Not only must the flashing metal be of adequate type and gauge, but it must be installed correctly. This is not rocket science, but it does require some training and/or experience in order to be done correctly and to be leak proof. No consultant was used on the job: As a consultant, I am called on after the work has been completed and the roof has failed — this is a mistake. Professional advice should be obtained before the roof is installed and even before the structure is built, if possible. However, not all slate roof installations require a consultant. Homeowners can educate themselves for very little money by simply reading a copy of the Slate Roof Bible, reading past Traditional Roofing articles online at traditionalroofing.com, and asking questions on the message board at slateroofcentral.com. Contractors walking on the slate: This is one of the worst problems with new slate roof installations. Roof slate is not to be walked on — period. It is not a floor that is being installed — it is a roof. The roof must be properly staged so the roofers are working off roof ladders and roof scaffolds. If the contractors are walking all over the slate roof during installation, it’s because they don’t know what the they’re doing and the property owner will have many headaches later when the slates start falling off. This is a guarantee. Good slaters knows how to install slate, and they won’t walk on a slate roof unless it’s a last resort in an unusual circumstance. Poor sheathing materials: The roof decking must last as long as the slate. A good roof deck should last the life of two slate roofs, or about 200 to 300 years. 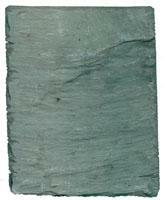 In any case, a roof decking material under slate must have a known longevity of at least 150 years. Materials that have been tried and proven for this purpose include lumber boards and battens from 3/4” to 1.5” thick rough-sawn, planed or tongue-in-grooved from a variety of species of wood. Plywood, laminated woods and particle boards are sub-standard roof decking materials for slate roofs and should be avoided. Yes, you can install slate on laminated or glued decking materials, but a compromise on longevity is likely to be the result. If a slate roof is to be built to last, the roof deck should be solid boards, not glued sheets of wood. Emphasis on underlayment: This is a red herring. If a slate roof leaks, it’s because it was installed improperly, not because of underlayment or lack of it. Properly installed slate roofs need no underlayment. The main purpose of the underlayment is to keep the water out of the building until the slate and flashings are installed. After that, if you could magically yank the underlayment out from under the slate, it wouldn’t’t make a bit of difference in the functioning capabilities of the roof. Secondary purposes for underlayment include providing a good surface for chalk lines during installation, providing a minimal layer of insulation, and providing a cushion for when the slates are being slapped down during installation. Concerned about ice-damming? were installed without any underlayment whatsoever. This is true for some institutional buildings as well. 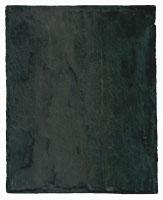 Most of the older homes in the U.S. were installed with a standard single layer of 30 lb felt under the slate roofs. These homes are so old now that the felt has deteriorated to dust, but the roofs are fine. If the slates and flashings are intact, the roof will not leak, underlayment or no underlayment, even in a sustained driving rain. This is a proven fact, not a theory. What about ice-damming? Increase the slate headlap along the eaves to prevent ice-damming, but do not rely on what’s underneath the slate to keep the roof from leaking. 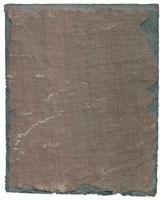 If the slate and flashings are installed correctly, the roof will not leak. That is the beauty of a stone roof. Inexperienced roofing contractors: It is an unfortunate fact that many contractors cannot be trusted to give sound and honest advice or information. This issue is exacerbated by property owners who don’t get competing bids before initiating a contract; who don’t educate themselves about the nature of the work prior to hiring a contractor; and who don’t insist upon a detailed, coherent and comprehensive contract document. One major effort that is being made today to try to screen contractors for slate roofing purposes is the Slate Roofing Contractors Association of North America, initiated on March 1, 2005. . Included with the listing is a Contractor Profile which reveals details about the contracting firm that the average consumer would want to know.